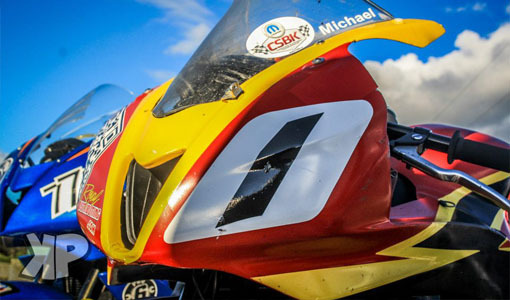 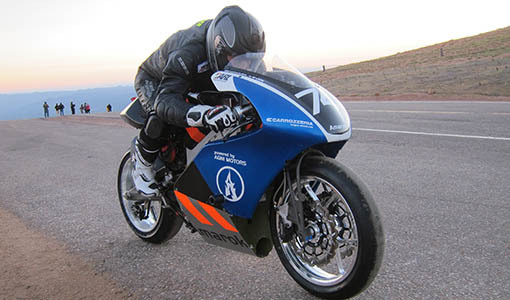 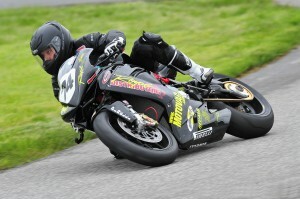 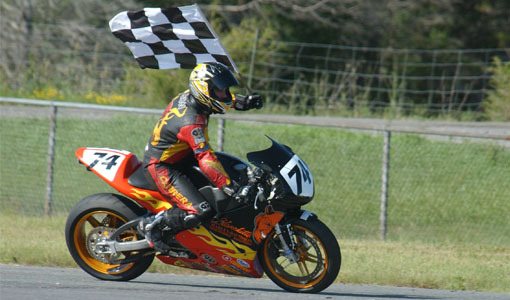 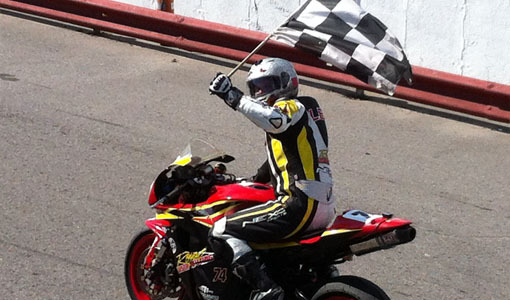 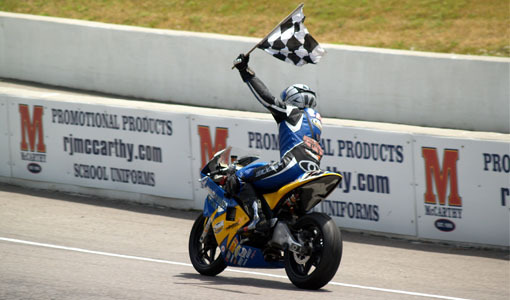 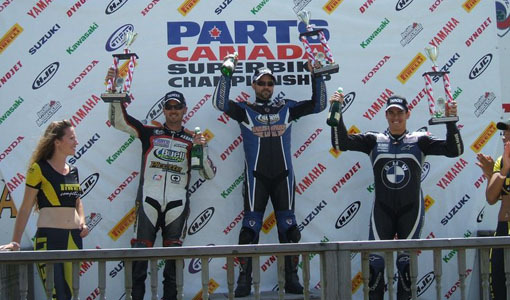 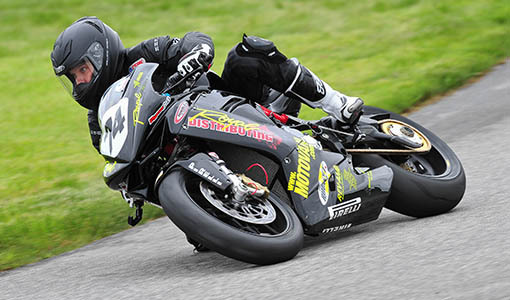 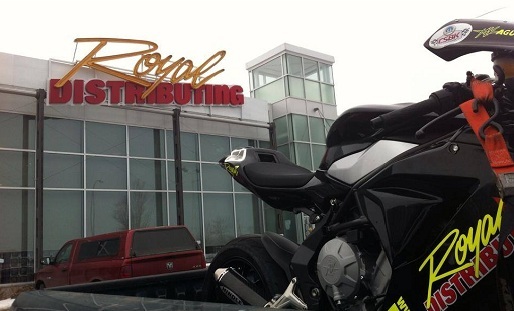 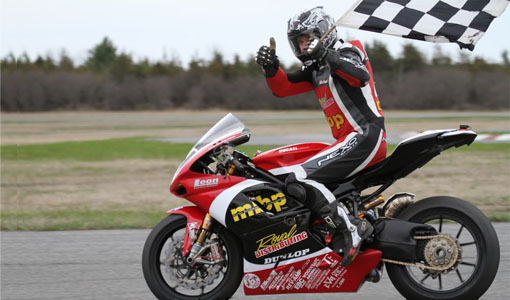 NEWS: Victory for the Royal Distributing MV Agusta F3 at Grand Bend, Ontario. 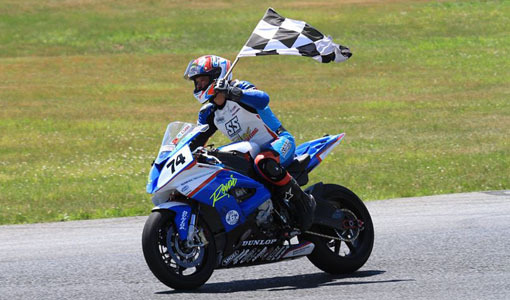 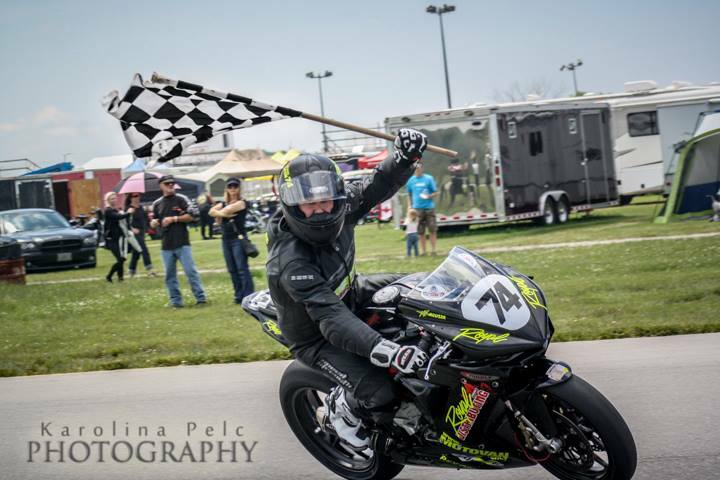 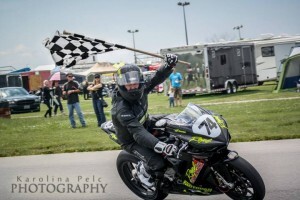 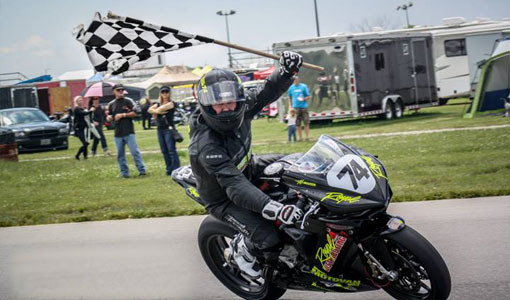 The Royal Distributing MV Agusta F3 claimed its first victory at Grand Bend Motorplex when rider Michael Leon won the Expert 600 Extreme race during the 2nd round of the SOAR regional series, June 16th. 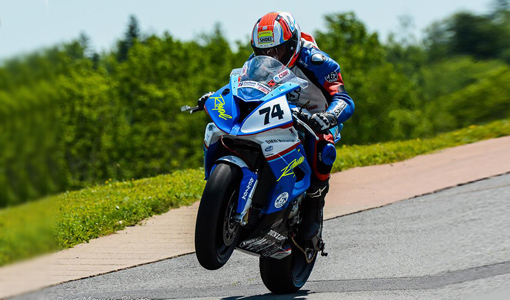 Development continued in the right direction for the team with a full day of dry practice on Friday, followed by another dry day during the Saturday heat races. 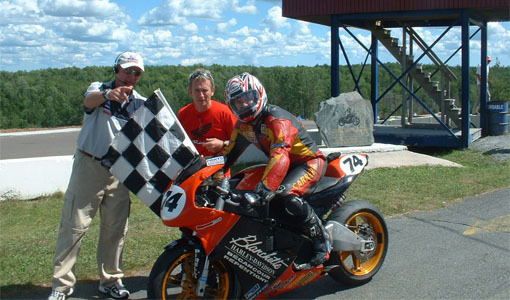 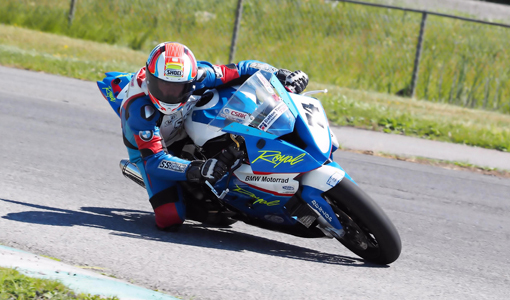 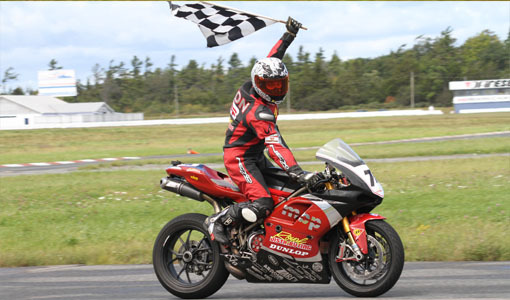 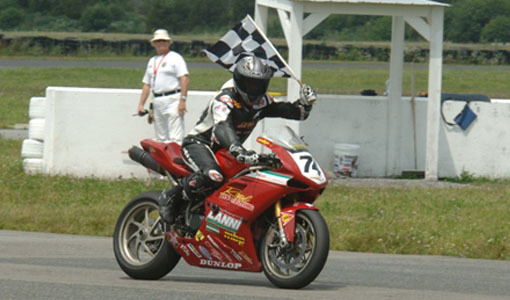 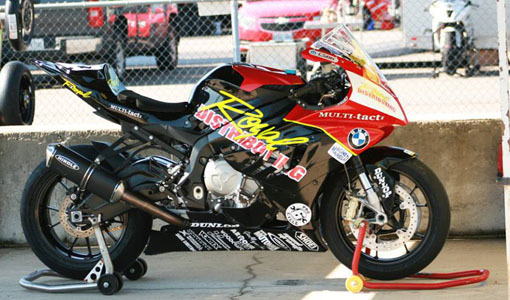 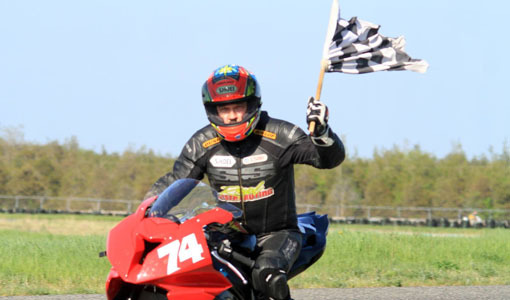 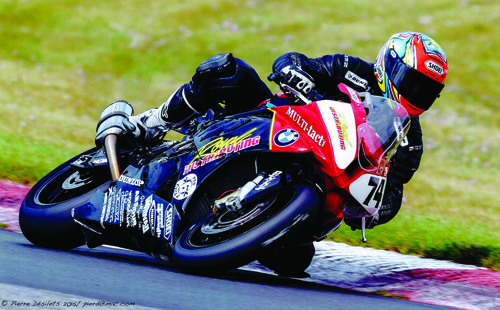 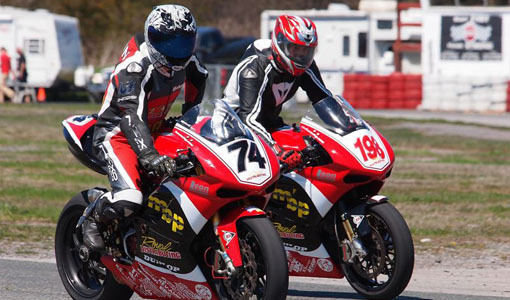 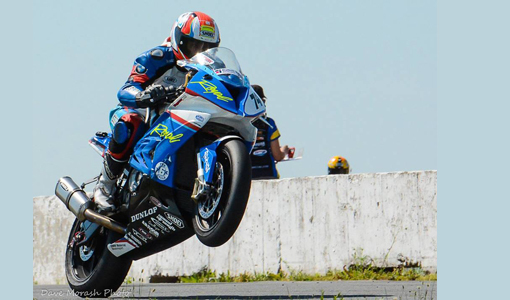 The MV Agusta F3 made its National Sportbike debut at Shannonville, with a 5th place finish by Royal Distributing rider Michael Leon at the first event of the 2013 CSBK series, June 9th.